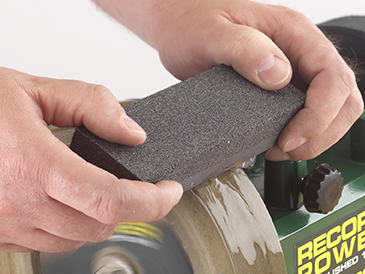 The WG200 wet stone sharpening machine offers fantastic performance and versatility in a compact and easy to use machine. 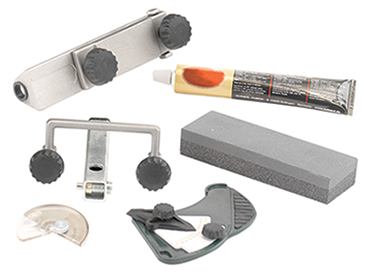 Included with the machine are a range of essential tools and jigs, not only making this package fantastic value for money but also allowing accurate sharpening straight from the box. 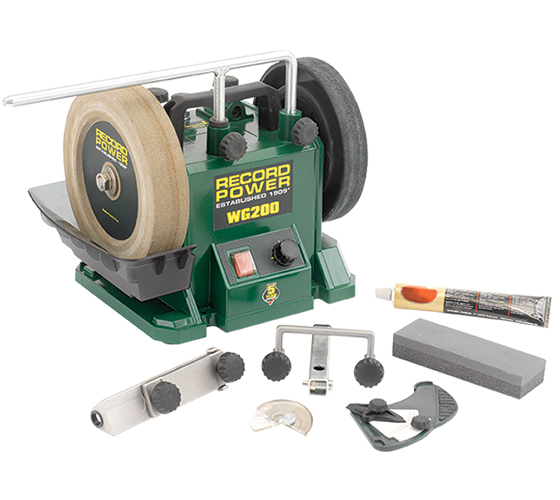 A full range of optional jigs and accessories are available which are compatible with the 12 mm bar system of the Record Power WG250 as well as many other brands of grinder. The WG200 features smooth and responsive variable speed, a real bonus for a more compact machine. 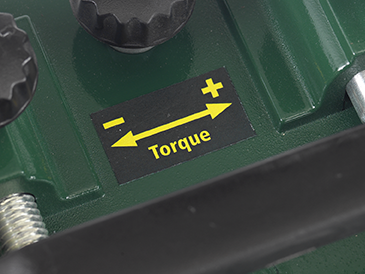 The torque can also be adjusted, enabling heavier grinding without fear of the stone or honing wheel slipping under pressure. Some machines rely purely on the weight of the motor to apply drive to the wheel. This can be insufficient for more demanding tasks. 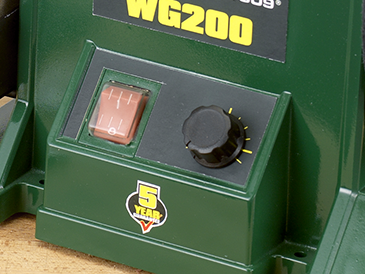 The WG200 has adjustable torque so you can easily apply the correct pressure for the job in hand. As the stone wears, its diameter reduces and so in effect the speed of the wheel¹s rotation is increased. On most machines you cannot do anything about this, but with the WG200 you can lower the speed to compensate. In addition, when you want to remove material more quickly you can increase the speed of the stone. Using the supplied stone grader, the stone can be dressed to provide either a coarse or fine grind. 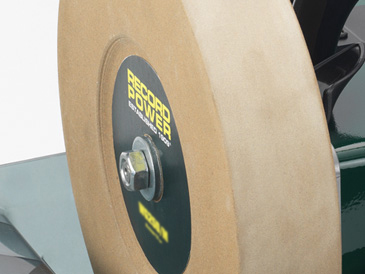 To ensure the grinding wheel is held securely with no danger of unwinding.